Beads, Braids and Beyond: Bee Mine Products Black Friday Sale!!!! Bee Mine Products Black Friday presale starts TODAY. 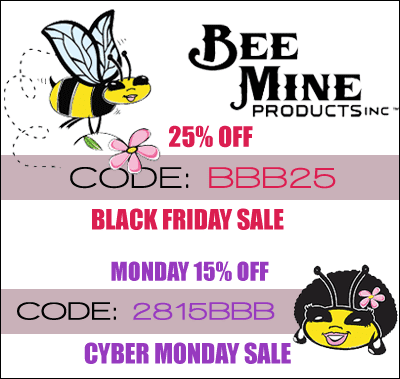 You can get 25% off your purchase using our reader discount code: BBB25 www.beemineproducts.com Happy Shopping! !